Note: This is an inductive buzzer meaning that is will act as a short to ground if you are not actively driving it. Sparkfun recommends you put both I/O pins to low (0V) when the buzzer is not used. Also, unlike the majority of Lilypad accessories, washing these buzzers will damage them. 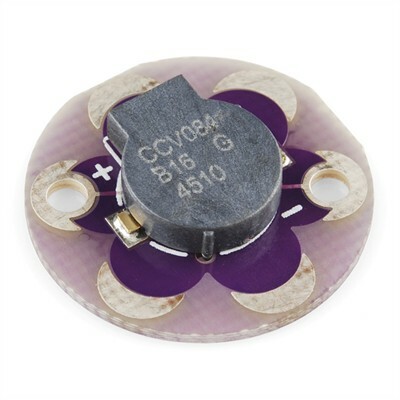 Until Sparkfun offers a solution to this, avoid washing any portion of your project that contains one of these buzzers.